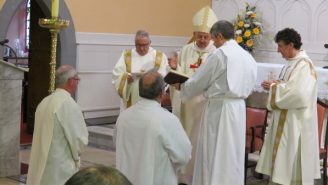 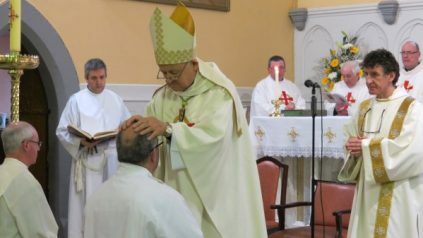 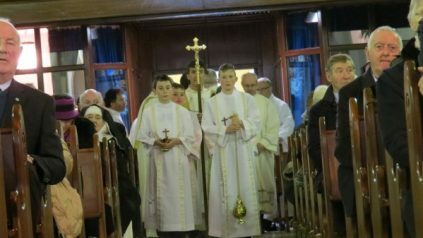 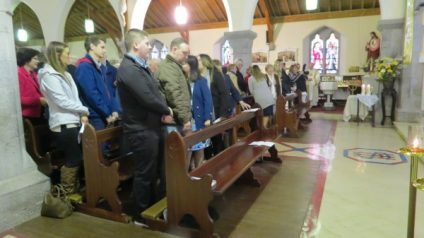 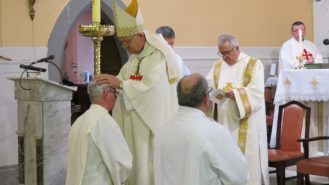 Ordinations to the Permanent Diaconate took place for the first time in the Diocese of Achonry on Easter Monday, April 2nd, 2018. 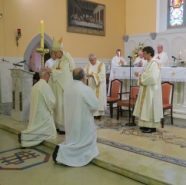 Bishop Brendan Kelly returned to the diocese to ordain two men to the Permanent Diaconate. 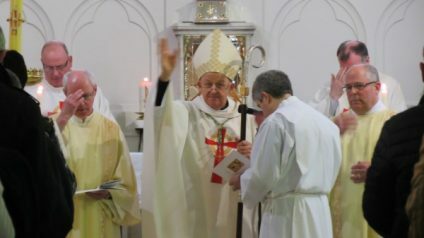 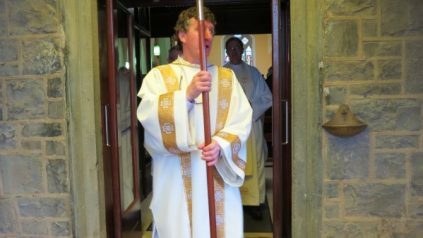 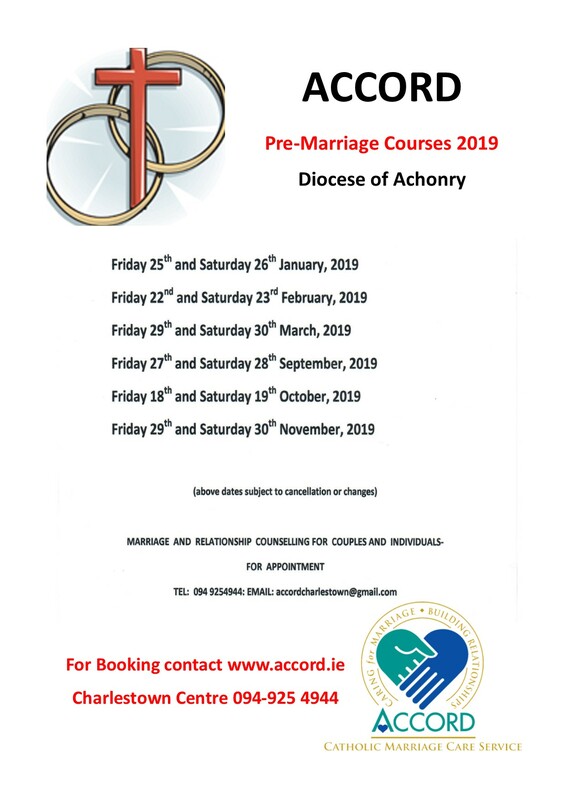 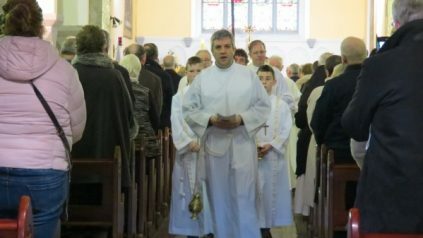 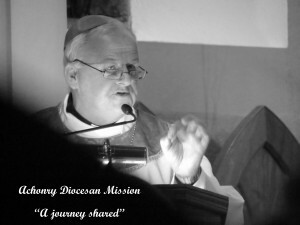 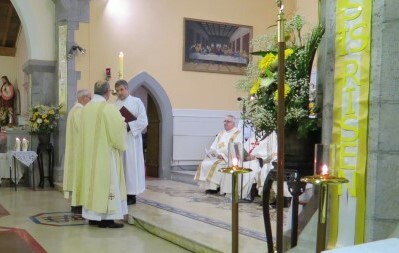 Fr Dermot Meehan, Diocesan Administrator and Director of the Permanent Diaconate programme in the diocese was the homilist. 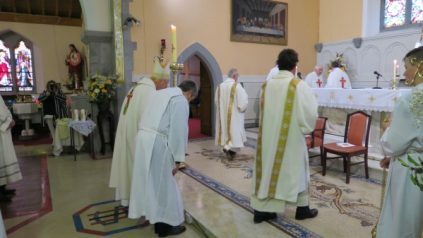 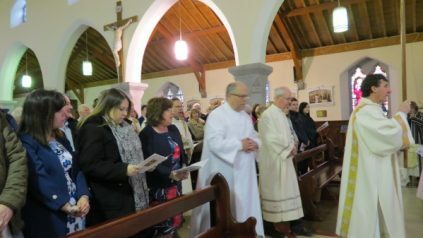 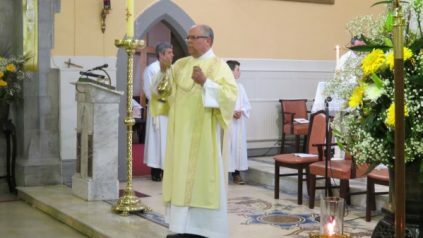 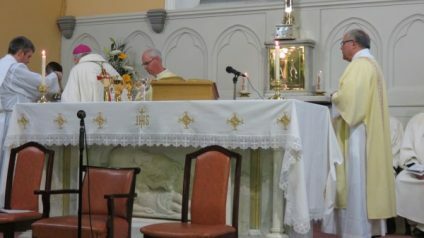 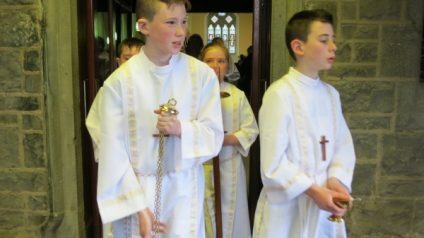 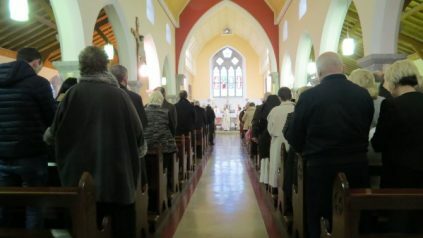 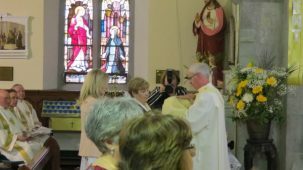 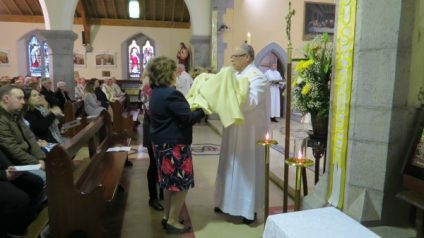 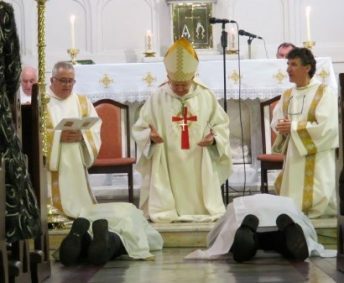 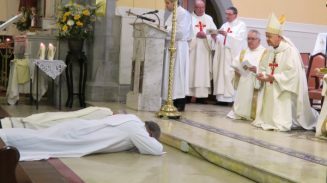 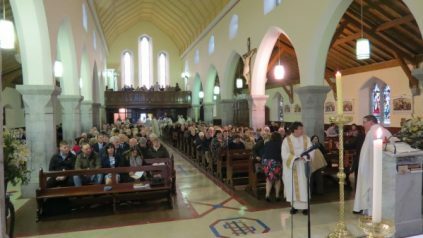 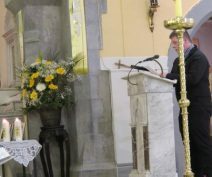 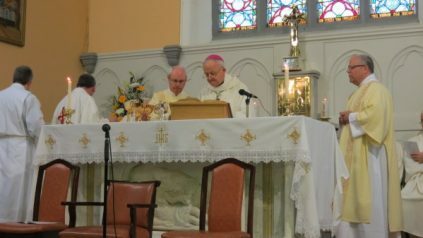 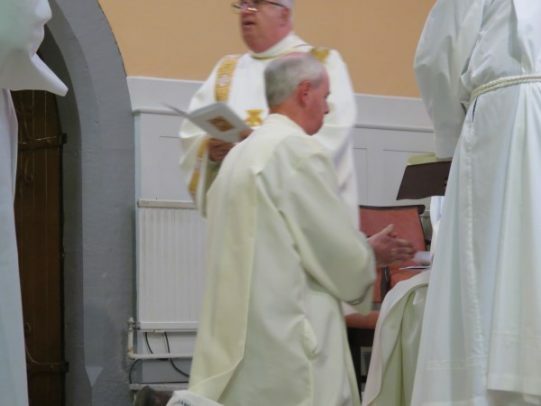 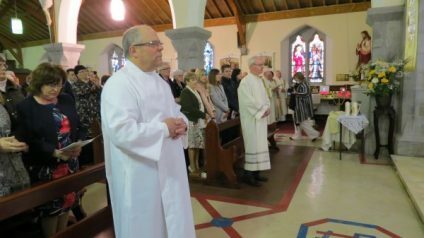 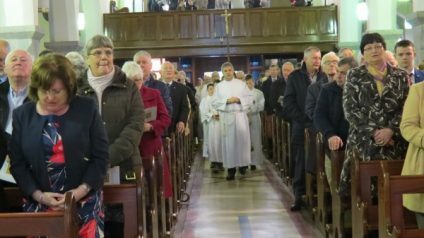 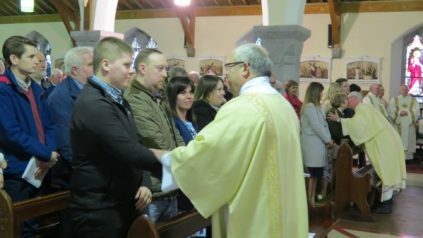 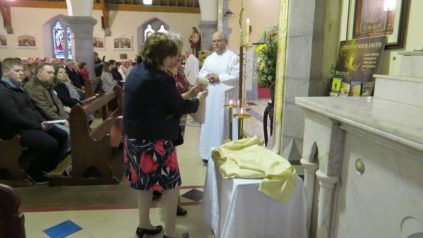 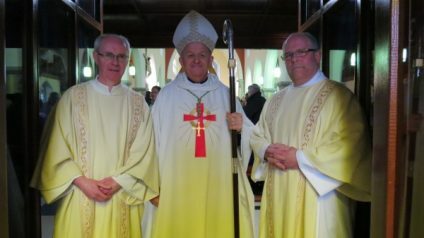 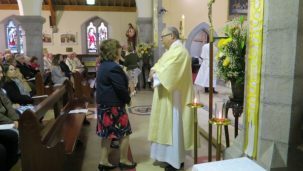 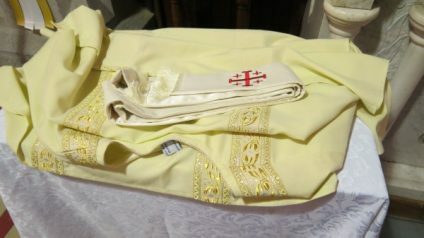 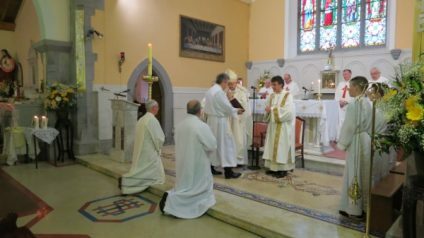 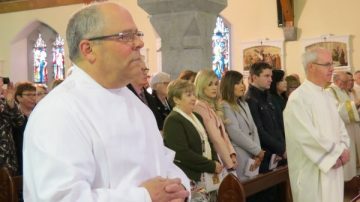 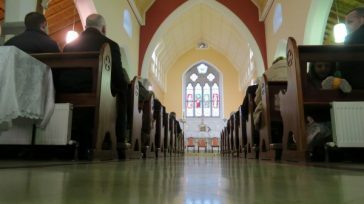 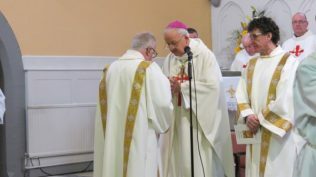 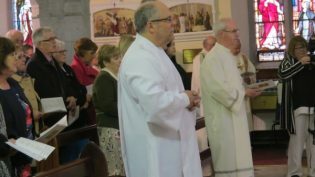 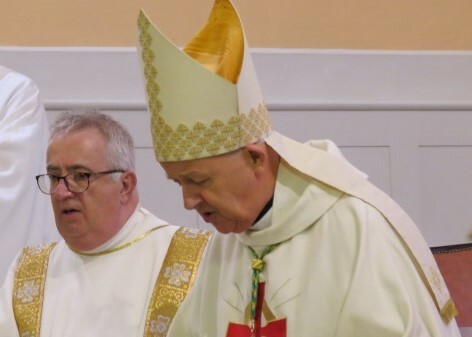 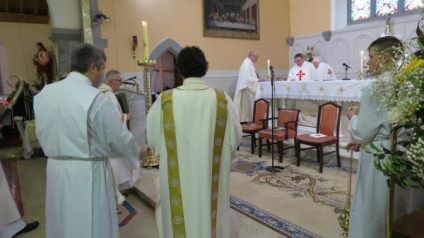 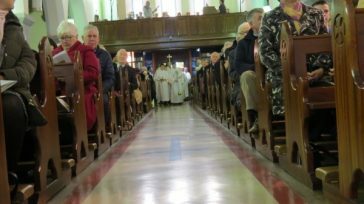 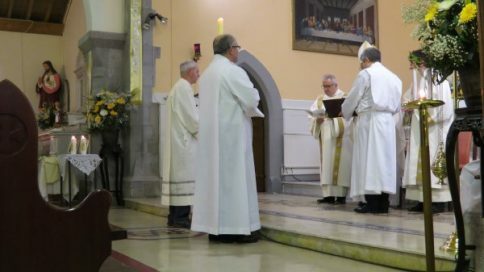 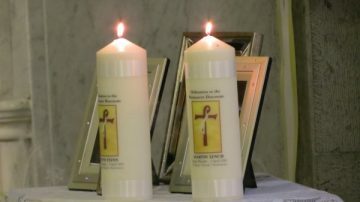 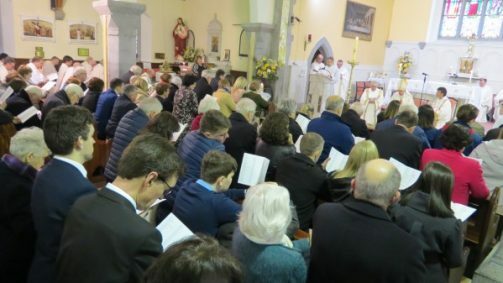 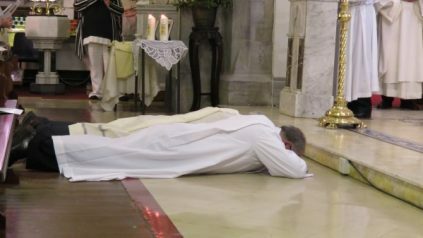 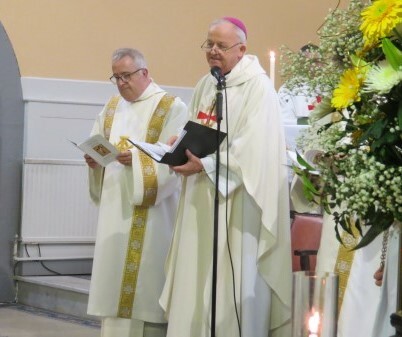 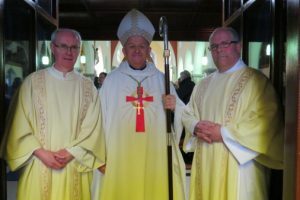 A packed congregation in the Church of St James’, Charlestown, Co. Mayo watched and prayed as Martin Lynch (Parish of Kiltimagh) and Kevin Flynn (Parish of Collooney) became the first Permanent Deacons in our diocese. 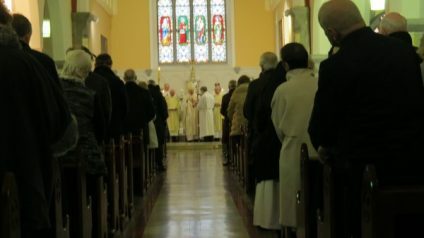 Both men are married and their families were in attendance along with many friends and well wishers. 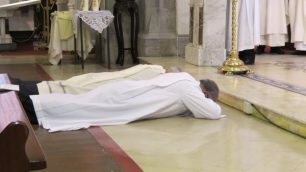 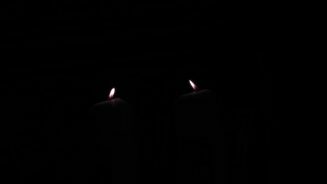 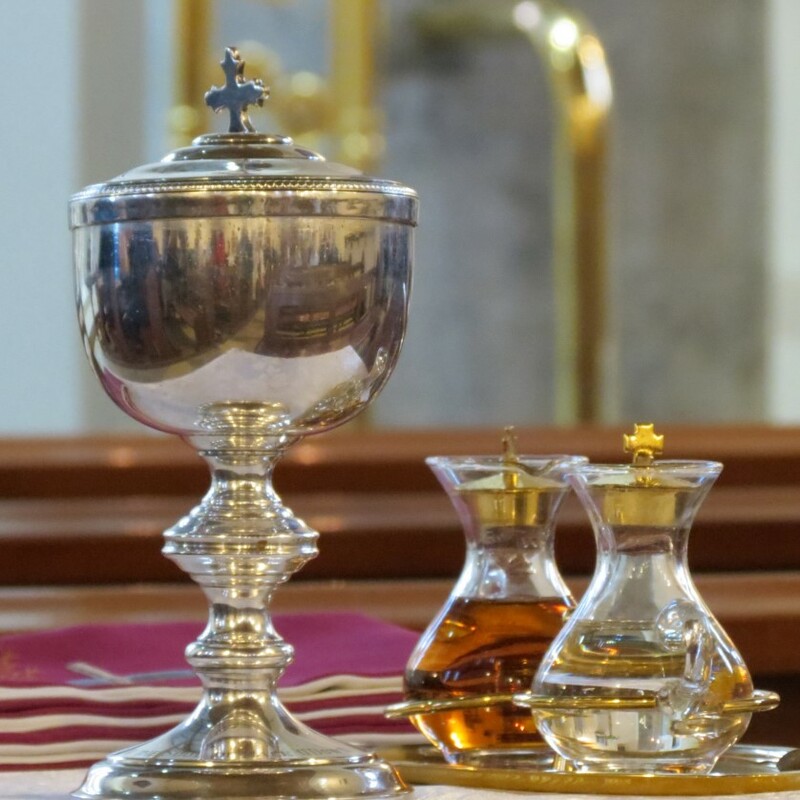 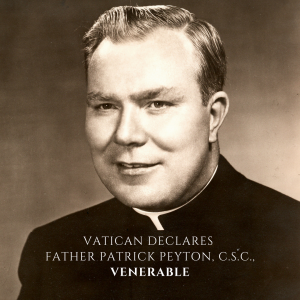 After the homily, both candidates are called forward by a deacon – answering “present” to the calling of their name is symbolic of their response to God’s Call to ministry. 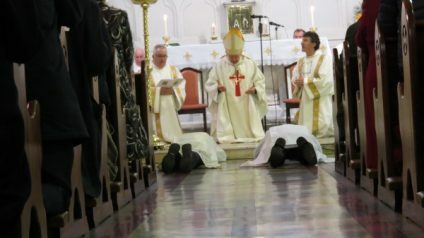 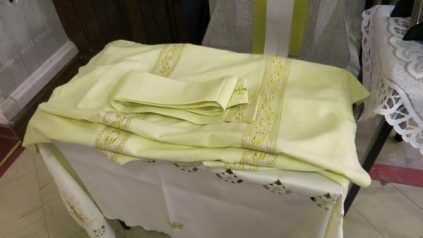 Having presented themselves for ordination they are, in turn, presented to the bishop as candidates for ordination. 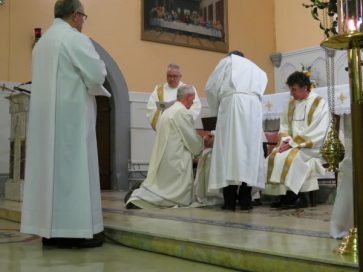 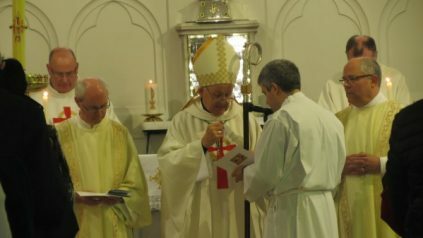 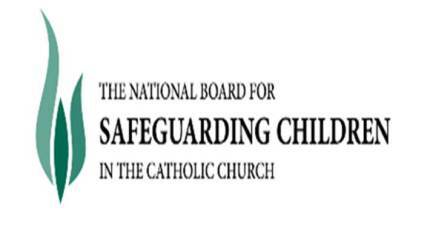 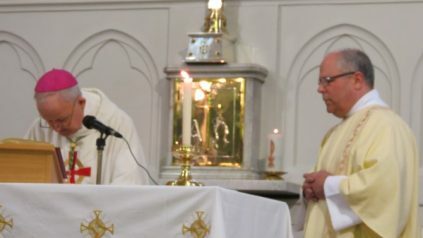 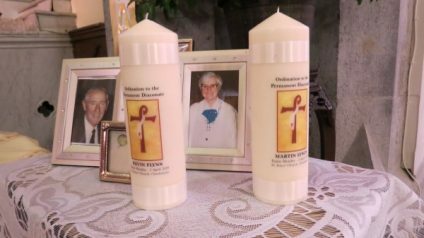 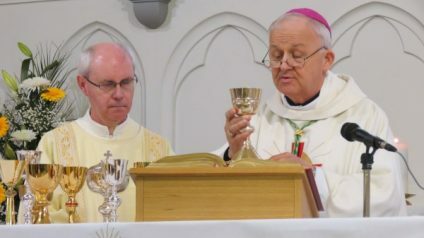 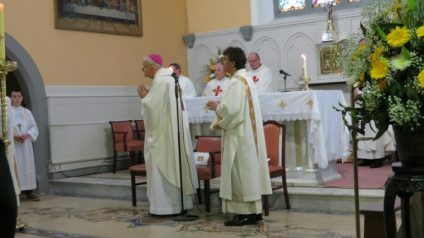 Having been called to Ministry and accepted for ordination, both candidates committed themselves to the ministry of Deacon and responded to the questions put before them by Bishop Brendan Kelly. 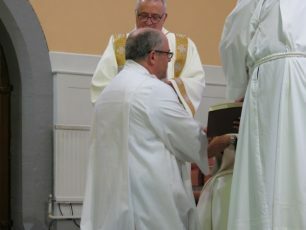 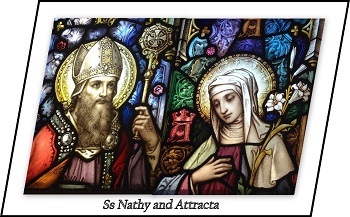 Both will assume ministry in the diocese and we pray God’s continued blessing on them and their families.